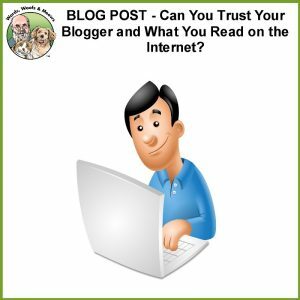 Can You Trust Your Blogger and What You Read on the Internet? We are reaching out to you to invite you to participate in our sponsored paid post program. While conducting research we identified your company’s blog as an excellent fit to help us create awareness of our brand and product. We’d love to inform your readers about how Company with Questionable Ethics [NOTE: I changed the company name for the purposes of this post] can be used to help keep dogs safe in the home and yard. We are limiting participation to 10 bloggers on a first come, first serve basis. As a sponsored host, you will receive a payment of $225 USD via PayPal upon publication of an article on invisible fencing options. Additionally, we will give you a $25 Amazon gift card for one winner to serve as an incentive for your readers to engage by either commenting or sharing the post on social media. Because we want our messaging to be aligned to your readership, you may choose to either write an article from your perspective as a pet services provider, or you may choose to post an article provided by us and specifically crafted for your blog [emphasis added]. If you decide to participate we do need the post to be published no later than August 7 and the giveaway winners selected no later than August 14. If we find that you are an influencer, we will add you to our list of preferred bloggers and invite you to participate on additional paid and sponsored blogging activities. The article must include several do-follow links to informational material on our website. You may indicate this is a sponsored post. We are happy to help you by engaging in conversation with your readers and addressing concerns regarding dog fences. Attached is a sample sponsored post. If you agree to participate, we will provide you with more specific guidelines for posting. Please let me know if you have any questions. Thank you. Now obviously this company did not research me or Green Acres Kennel Shop very well or they would have discovered that the likelihood of me posting anything on my blog recommending shock collars is non-existent. However, I suspect that they use this approach because it works and unfortunately for dogs and the people who love them, found 10 bloggers who played along and just like Judas received their 30 pieces of silver, or in this case $225. The point to this post: Be careful out there, not everything you read is true, and not everyone will be honest with you. Endorsements by celebrities and less-than celebrities are often far from honest and nothing more than paid advertising made to appear as sincere belief. 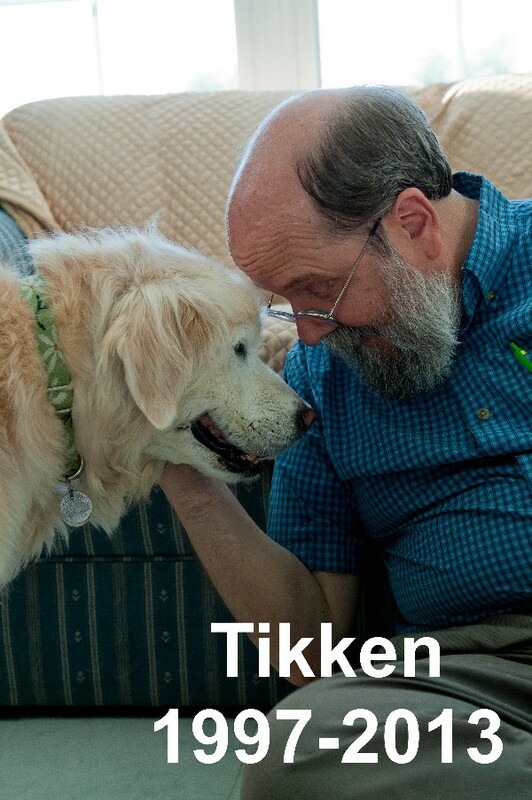 Since April of this year I’ve been writing about a trend towards kinder and gentler pet care; our pet-friendly philosophy at Green Acres Kennel Shop, the force-free principles of the Pet Professional Guild, and the fear-free movement among the veterinary community. 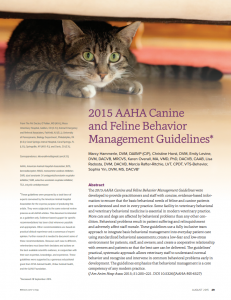 I am extremely pleased that last month the American Animal Hospital Association (AAHA) took this trend one step further with the publication of their Canine and Feline Behavior Management Guidelines. This ground-breaking document acknowledges that your pet’s behavioral health is every bit as important as their physical well-being. The guidelines are meant to provide veterinarians and their staff with “… concise, evidence-based information to ensure that the basic behavioral needs of feline and canine patients are understood and met in every practice [Emphasis added].” While these are just guidelines, the AAHA is at the forefront of veterinary medicine and I expect that most veterinarians will begin implementing these guidelines into their practice immediately. The adoption of these guidelines is critically important because “More dogs and cats are affected by behavioral problems than any other condition, often resulting in euthanasia, relinquishment of the patient, or chronic suffering. [Emphasis added]” The reasons why behavioral problems have become the number one health concern for dogs and cats remains to be examined; however these guidelines offer some concrete steps that all of us who love, live with and work with dogs and cats can take to help make their lives better. This is a huge step as it now establishes that a behavioral wellness assessment should be part of every pet’s visit to their veterinarian. While these guidelines are focused on veterinarians and their staff, everyone in the pet care services industry; boarding kennels, doggie daycares, dog walkers, groomers, dog trainers, and pet sitters as well as animal shelters, breeders, pet shops, rescue groups, animal control officers, humane agents, and animal welfare program directors should be aware of these guidelines and be implementing the policies, procedures and training necessary to ensure the behavioral health of the pets in their care. Here the some of the key take-home messages from this document that every pet owner needs to know. Quotes from the guidelines are in italics and my comments are non-italicized. In some cases I have used bold type for added emphasis. “Veterinarians must institute a culture of kindness in the practice and avoid using either forced restraint or punitive training or management methods.” Time and patience make for a better experience for all involved. I love that I can take my pets to see any of their veterinarians and my pets are unafraid. Not all people can say that and that needs to change. “Veterinarians must be aware of the patient’s body language at all times, understanding that it conveys information about underlying physiological and mental states.” At Green Acres we teach clients to understand an animal’s body language and emotions in our training classes because it is an essential part of understanding, teaching, and living with our pets. The guidelines suggest that veterinary practices can and should use this same knowledge of body language and emotions to ensure your pets visit and exam is as stress free as possible. Both you as the person responsible for your pets care, as well as your veterinarian need to know and understand this so that together you make sure it happens. When choosing a veterinary practice I encourage you to look for one that invests in the training and continuing education necessary to teach all of their staff the fundamentals of animal body language and emotions. “All veterinary visits should include a behavioral assessment.” While the veterinary team needs to ask about behavior, as an owner you need to be ready to talk to your veterinarian about behavioral issues. When I receive calls from clients about behavioral issues the first thing I ask is “Have you discussed this with your vet?” and too often the answer I get is “no.” Make sure that your pet’s behavior is discussed at each and every visit. “Good behavioral evaluations are especially important in young animals. Studies show that 10 percent of puppies that were fearful during a physical exam at 8 wk of age were also fearful at 18 mo. Patients do not outgrow pathologic fear. [Emphasis added].” “Behavioral conditions are progressive. Early intervention is essential to preserve quality of life for both the patient and client and to provide the best chance of treatment success.” In my experience, patients often wait too long to address behavioral problems, hoping the pet will outgrow it. The sooner these problems are addressed the better the odds of resolving the problem and ending the distress felt by both the pet and the pet owner. “… the presence or development of fear during sensitive periods is aggravated by forced social exposure. Overexposure can make fearful dogs worse, creating a behavioral emergency.” This is why socialization and habituation efforts need to be planned ahead of time and controlled while they are occurring. Talk to your veterinarian and certified, reward-based trainer about the best ways to do this. Preferably, you should start planning these effort’s before you bring the new pet home. “There is no medical reason to delay puppy and kitten classes or social exposure until the vaccination series is completed as long as exposure to sick animals is prohibited, basic hygiene is practiced, and diets are high quality. The risks attendant with missing social exposure far exceed any disease risk. [Emphasis added]” This is why starting a puppy in an appropriately designed class is so important while the puppy is 8 to 16 weeks of age. It’s also why regular “fun” trips to the vet’s office, the groomer, the kennel and other places are recommended during this period. However, you need to plan these trips to make sure that they will be a good experience for your pet. Working with your trainer on this process can be very helpful. “Puppies should not be separated from their littermates and dam until at least 8 wk of age. Puppies separated at 30–40 days versus 56 days experienced a greater incidence of problems related to the early separation, such as excessive barking, fearfulness on walks, reactivity to noises, toy or food possessiveness, attention-seeking behavior, and destructive behavior as adults.” This is the law in Maine, but too often it’s not followed. If you’re getting a puppy from a shelter, breeder or rescue organization, do not take it home until it is 8 weeks of age. If they offer to let you have it sooner, report them to the Animal Welfare program and get your puppy elsewhere. If you want the best possible puppy, don’t start with one that is already at a behavioral disadvantage. “Mistaken or misinformed beliefs may become apparent early. Clients may not understand that some undesirable behaviors are normal (e.g., young puppies cannot last 8–10 hr without urinating). Clients may not understand the difference between a behavior that is undesirable but possibly normal and responsive to training (e.g., grabbing someone during play) and abnormal behavior that requires professional care (e.g., becoming aggressive if not permitted to play after grabbing). [Emphasis added]” People have so many incorrect and damaging beliefs about dog behavior based on myths that have been recycled over and over again for the past 70+ years. This is why working with a veterinarian and trainer who participates in regular continuing education is essential. “It is essential that clients ask trainers about specific tools and techniques used. If the tools or techniques include prong collars, shock collars, or leash/collar jerks/yanks, or if the trainer explains behavior in terms of ‘dominance’’ or throws anything at a dog, advise clients to switch trainers. [Emphasis added].” The techniques and tools used to train a pet and to change behavior do matter and some should never be used. Do not assume that just because a trainer is certified that they will not use these tools. You need to ask. Kudos to the AAHA and this Task Force for saying what many in the training community, both individuals and organizations, have been afraid to say for fear of offending a colleague who still insists on using pain, fear and coercion. The guidelines make it very clear that certain techniques, some still used all too often (prong (pinch) collars, shock collars, alpha rolls), some promoted by TV personalities like Cesar Milan, have absolutely no place in the training or altering of behavior of pets. The only association of professional trainers in the USA to currently have a similar position to the AAHA guidelines is the Pet Professional Guild with their Guiding Principles (http://www.petprofessionalguild.com/PPGs-Guiding-Principles). As a pet owner, that’s important for you to know when seeking a pet trainer. Here at Green Acres we have not used, recommended or sold these techniques/tools since 1998. It’s time for the other large training and behavior organizations, as well as individual trainers and businesses to quit making excuses for using these harmful tools and techniques. While there are many excellent recommendations in the guidelines that I agree with, I cannot completely agree with: “Under no circumstances should aggression or any condition involving a clinical diagnosis be referred to a trainer for primary treatment. Referral to a dog trainer is appropriate for normal but undesired behaviors (e.g., jumping on people), unruly behaviors (e.g., pulling on leash), and teaching basic manners.” While I agree that clients should ALWAYS see and discuss behavioral concerns with their veterinarian to rule out any medical causes, I believe suggesting that the client should not be referred to a qualified, certified dog trainer or dog behaviour consultant may be counter-productive. I’m not saying that all dog trainers that take behavioral cases are qualified to do so, but truth be told, many veterinarians are also not comfortable developing a behavior modification program and then teaching the client how to implement that program. The guidelines suggest that aggression cases can be referred to a Board-certified veterinary behaviorist (diplomates of the American College of Veterinary Behaviorists); however, according to the ACVB website there are only 66 such individuals worldwide. While such a specialist may be helpful they may not be an option for many people simply due to geography or cost, thus forcing a client to euthanize or relinquish their pet. Instead, I suggest that primary care veterinarians take the time to get to know the trainers and dog behavior consultants in their community so they can determine if they feel comfortable referring to those individuals. A good place to start is with members of the International Association of Animal Behavior Consultants (www.iaabc.org) and the Animal Behavior Society (http://www.animalbehaviorsociety.org/). 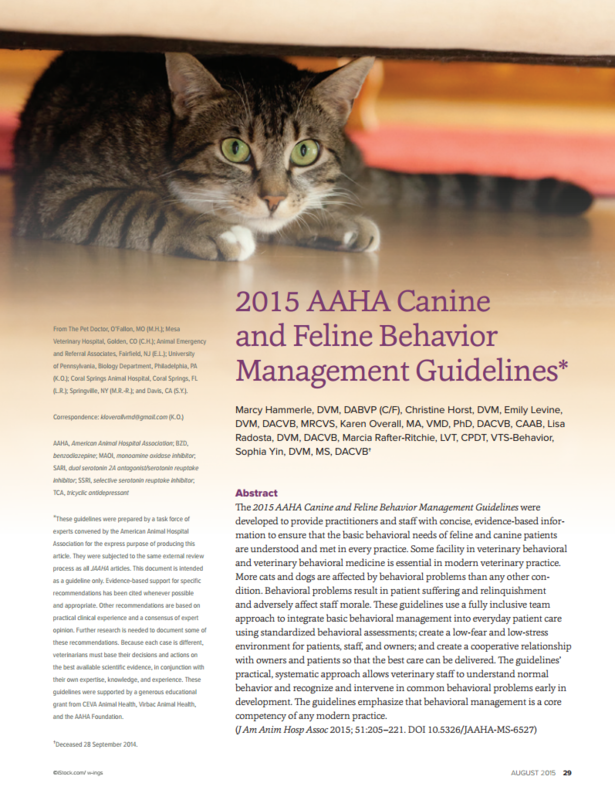 However, since these organizations do not have clear and definitive guidelines on the use of techniques the AAHA guidelines has defined as aversive, it is up to veterinarians and pet owners to make sure that the individual practitioner they select does comply with the AAHA guidelines. This article first appeared in the May 2015 edition of the Downeast Dog News. Trust. Before becoming part of the pet care service industry I found it essential to get to know someone very well before entrusting them with the care of my pets. 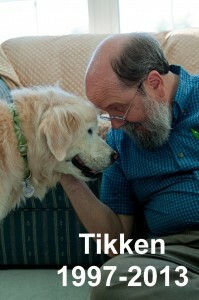 It’s a character trait that I find essential when leaving my pets in the care of someone other than myself. I need to be confident that my furry family members will be cared for to my standards. I find that those of us that work with pets professionally are often trusted without a great deal of questions. Many seem to assume that because we work with animals that we will care for their pet the same way that they would. While I believe that is true for me and my staff at Green Acres, there are people in the pet care services industry where that can be a dangerous assumption, as noted below. Last month a post came through on my Facebook feed with the title “Unauthorized Use of Shock Collar Angers Dog Owner.” It referenced a story reported by KSNV My News 3 in Las Vegas which discussed a pet owner who left their dog with a pet sitter, only to come home and to discover that the pet sitter had used a shock collar on their dog. The dog’s owner had not been told this would happen, nor would it have been something they would have authorized. The dog’s owners were rightfully upset and angry and were stunned that something like this could happen. This is exactly the type of behavior in the pet care service industry that I was warning pet owners about in my last column. And yes, this type of thing has happened in Maine, more than once. When I share stories like the one above the usual response I get is moral outrage followed by “How can something like this happen?” That’s when I explain what I feel are three reasons why this can and does happen. The pet care service industry is minimally regulated if regulated at all. Regulations typically only occur at the state and/or municipal level and often only focus on a facilities cleanliness, amounts of space and a pet’s physical care. A pet’s mental or emotional well-being is simply not covered in most regulations. Here in Maine, pet boarding facilities are regulated but there is no professional standard of knowledge that is legally required of the people that own and manage and care for the pets that they board. For example, there is no standard that says a boarding kennel operator needs to be knowledgeable about; pet first aid and CPR, canine social behavior, feline social behavior, species specific communication, and the supervision of animals in group play. Those that do not offer boarding but only provide daycare, group play, pet sitting, grooming and training are essentially not regulated at all. Just because someone likes dogs and has had a dog of their own does not mean that they have the knowledge and experience to safely care for the pets of others. Pet parents assume, with good intentions, that everyone in the pet care industry has the requisite knowledge and experience to properly care for pets, loves pets, and wouldn’t intentionally do anything harmful to a pet. That is a dangerous assumption and as I noted in last month’s column there are some questions a pet parent should always ask before leaving their pet in someone else’s care. At the heart of the Pet Professionals Guild commitment to force-free pet care is their “Guiding Principles.” A pet care professional can only become a member if they agree to abide by these principles which are clearly stated on the PPG website. Section one states: “To be in anyway affiliated with the Pet Professional Guild all members must adhere to a strict code of conduct. Pet Professional Guild Members Understand Force-Free to mean: No shock, No pain, No choke, No fear, No physical force, No physical molding, No compulsion based methods are employed to train or care for a pet.” To me that’s pretty clear and fits right in with how we have officially defined “pet friendly” at Green Acres for years. Based on feedback we get from our clients at Green Acres,’ I’d say a significant majority of pet parents are looking for pet care providers that comply with this type of standard but as I’ve noted before, people need to ask to make sure providers do indeed actually comply with these standards. On the May 2nd/3rd edition of The Woof Meow Show Niki, Kate and I discussed the growth of doggie daycare and the lack of professional standards and regulations. We discussed how supervising dogs playing together requires extensive knowledge and training in order to keep dogs safe and to make sure that every dog is having a good time. Niki indicated that PPG will be launching an accreditation program for dog trainers, behavior consultants and other pet care professionals in the coming months. Green Acres’ has developed its own extensive training program for our staff but we look forward to learning more about PPG’s move towards industry wide standards because we know they are necessary so that all families can feel comfortable when they leave their pet in someone else’s care. 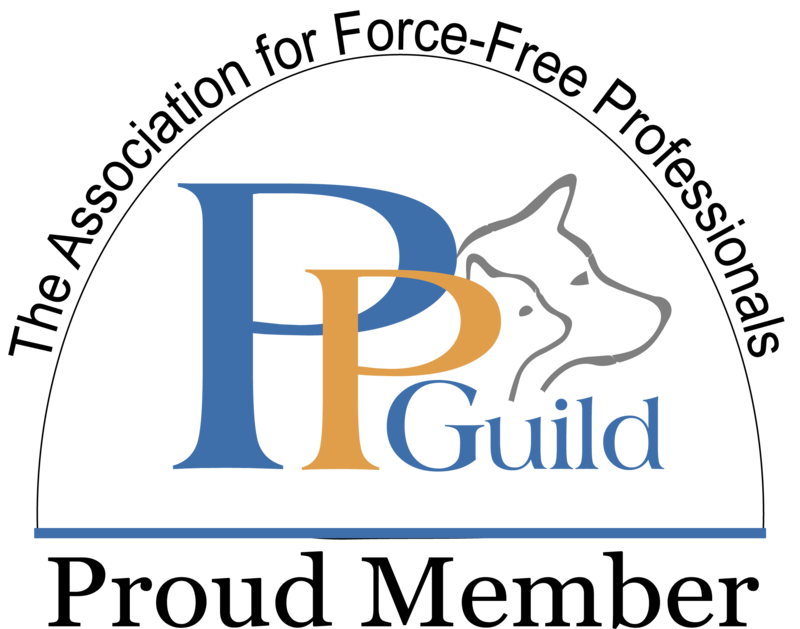 The Pet Professional Guild was founded in 2012 and in less than three years has grown to over 4000 members across 27 countries. Pet owners can join for free and get access to webinars, some free, the PPG publication “Barks From The Guild,” and other great articles. The Pet Professional Guild website (http://www.petprofessionalguild.com/) can also be a valuable resource for pet owners to find trainers, boarding facilities, daycares, groomers and others that share PPG’s force-free philosophy and that have committed to abide by PPG’s Guiding Principles. If the couple in the news story “Unauthorized Use of Shock Collar Angers Dog Owner” had selected a PPG professional member, their dog wouldn’t have ended up wearing a shock collar. 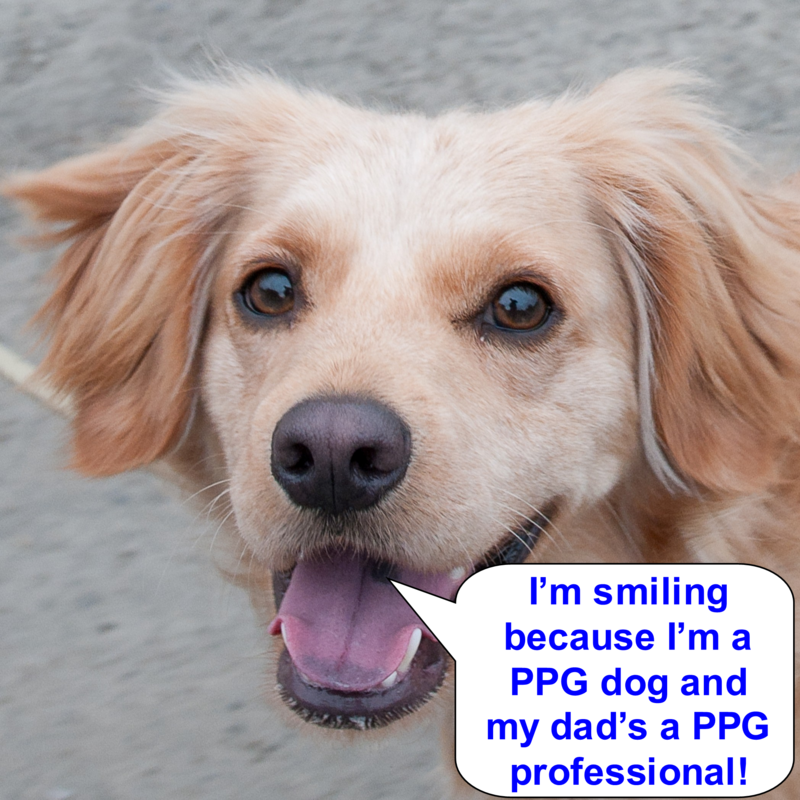 If you’re a pet owner/parent I encourage you to join PPG. What have you got to lose, it’s free! If you are a provider of services to pets (boarding kennel, daycare, pet sitter, dog walker, groomer, trainer, behavior consultant, vet tech and veterinarian) I encourage you to take the pledge to commit to force-free pet care by joining PPG and supporting other force-free pet professionals. Next month I’ll wrap up this series with a discussion of what veterinary clinics are doing to make your pet’s visit to the vet fear-free. Links to the other two parts of this series can be found below. This article first appeared in the April 2015 edition of the Downeast Dog News. Leaving your dog at a boarding kennel, doggie daycare, grooming salon, training facility, veterinary clinic or even leaving them at home with a pet sitter is not a decision you should make lightly. The question you need to ask yourself is: what happens once you are gone? How will your pet be treated? Will your pet be comfortable and relaxed during their stay with their caregivers? While there are many wonderful facilities that could easily and honestly answer that your furry companion is in great hands; this is not true for all. However, it is with great relief that I can say with some confidence that we are beginning to see a trend toward kinder and gentler professional pet care. Today, the terms “pet friendly,” “force-free,” and “fear-free” are becoming much more commonplace in our industry. 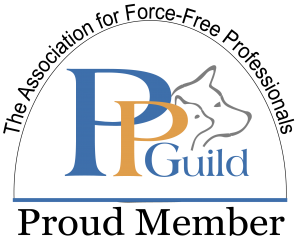 In 2012, the Pet Professional Guild was founded in an effort to “provide educational resources to pet trainers and professional pet care providers and advocates for mutually agreed guiding principles for the pet care industry. PPG partners, members and affiliates focus on each pet’s physical, mental, environmental and nutritional well-being adhering to a holistic approach to the care and training of family pets.” In a nut shell, the ultimate goal of the PPG is to be “The Association for a Force-Free Pet Industry.” At the same time, thanks to the efforts of the late Dr. Sophia Yin and Dr. Marty Becker, veterinarians are learning how they too can make your pet’s visit to their office a fear-free experience. Is your staff trained in canine behavior, body language and stress signals? How will you handle the situation if my pet is scared or fearful? What do you do if my dog barks while they stay with you? How does your staff respond if a pet growls? How is the staff trained to respond if my dog jumps on them? Will my pet interact with other pets that are not part of their family? If so, how will these interactions be supervised? Are punishers, such as squirt bottles, ever used? Will my pet ever wear a shock, citronella, choke or prong collar while with you? Would your staff ever attempt to dominate or alpha-roll my dog? During peak times, do you overbook? Is there a chance my pet will be boarded in a crate instead of an indoor/outdoor run? At what point do you stop a nail trim or a grooming if the dog is showing signs of stress and discomfort? How and when do you decide if an animal will be muzzled? Are you and your staff members of The Pet Professional Guild and do you follow their “Force-Free” philosophies? A new dog arrived for its first boarding stay. 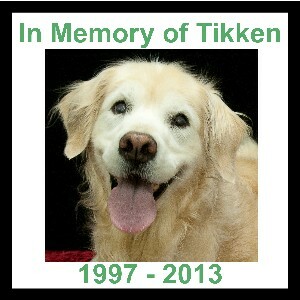 It was placed in its indoor/outdoor kennel. Immediately the dog began to back away and growl at staff when they attempted to approach it to take it outside. The pet care technician on duty contacted the manager who then came to assess the situation. Very slowly, and allowing the dog to do all the approaching, the manager was able to hook the dog to its own leash and the dog was taken for a walk to get an opportunity to assess the environment. The dog was walked on leash several times the first couple of days, by multiple staff members, until it reached a point where it was very relaxed and comfortable in the kennel. In addition, a DAP/Adaptil (dog appeasing pheromone) diffuser was plugged in near this dog’s kennel. On this dog’s final day, it was scheduled to have a grooming. The dog was very good for the bath, but when it was time for the nail trim, it immediately tensed and became agitated. The decision was made to not to do the nails. The dog in question had progressed so far, from being absolutely terrified on day one to having a good stay, and we did not want to undo that progress. It was imperative for this dog’s future kenneling experiences that this first visit end on a good note, and forcing a nail trim would not have been beneficial to the mental health of the pet. While we understand, and even expect, that a trip to the boarding kennel, groomer or veterinarian will have some associated stress for your animal, the onus is on those of us in the industry to make these visits as relaxing and fear free as possible. These changes need to happen system wide and here at Green Acres we call upon all other facilities to join the movement and become pet friendly facilities and we also call upon you, the consumer, to see that it happens. For more information on Green Acres philosophies on “Pet Friendly” pet care, visit our website and look for our position statements on Pet Friendly Pet Care and Position on the Use of Dominance and Punishment for the Training and Behavior Modification of Dogs. Next month, we will go into a discussion about the Force-Free philosophy of The Pet Professional Guild and their efforts to educate pet guardians and the pet care services industry about force-free pet care. In addition, we will explore what veterinary clinics are doing to make your pet’s visit to the vet fear-free.